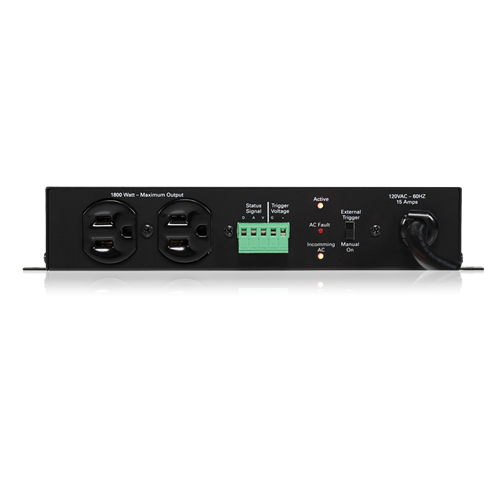 The Atlas Power ECM-15SH is a 120V 60Hz AC, 15A Single Housing (SH) Power Conditioner and AC Spike Suppressor that is designed to be used as a standalone unit or in conjunction with an Atlas Power Sequence controller, ECS-6RM or the ECS-3, up to 1000ft away. 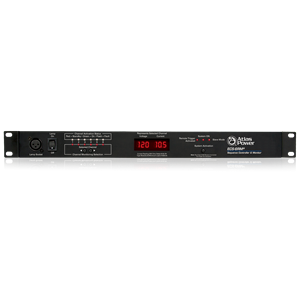 The ECM-15SH features noise filtering for removing unwanted Radio Frequency Interference (RFI) and EMI filters to reduce noise from Electromagnetic Interference (EMI) caused by items such as electric motors or switching power supplies. 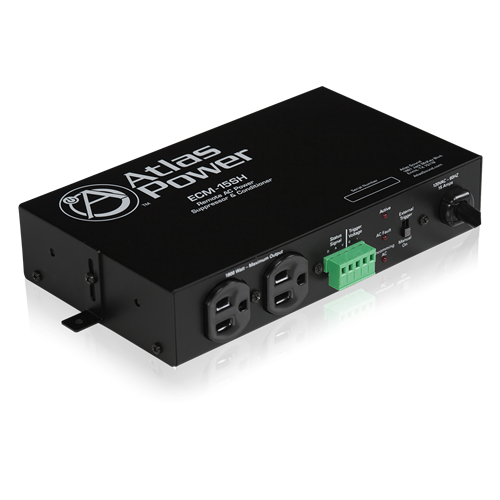 If an AC spike or surge occurs, the ECM-15SH also incorporates Clamping Suppression technology to prevent the unwanted energy from getting into your AV system. 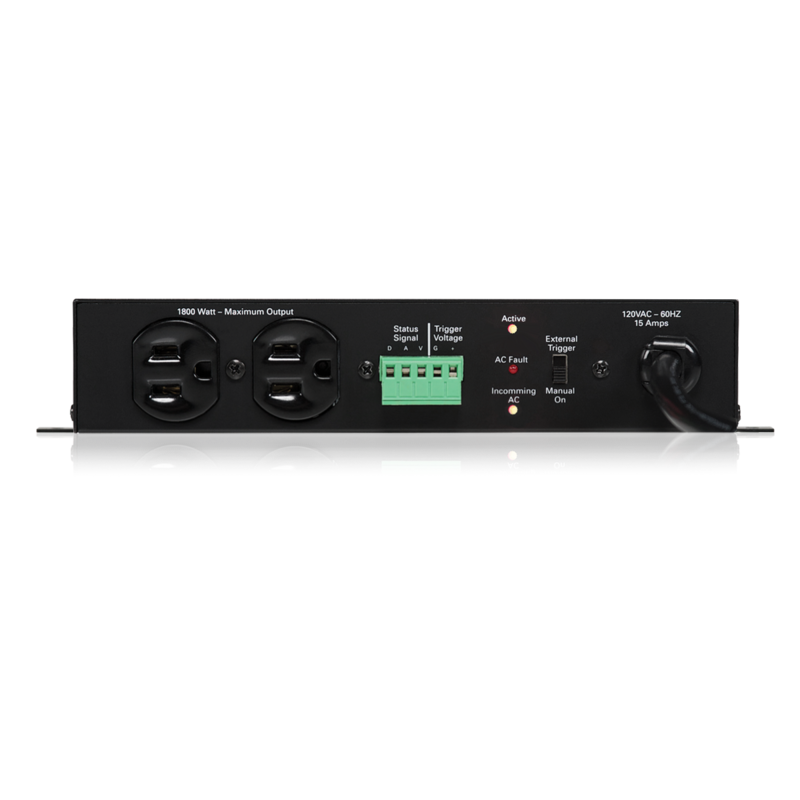 Other features include a Manual Bypass Switch, Incoming AC presence LED, Active LED and an AC Fault indicator. 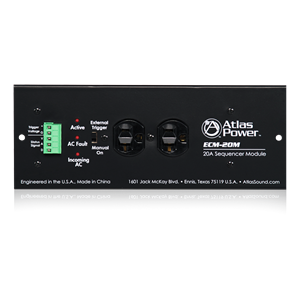 When interfaced with the ECS-6RM Sequencer controller, Extreme Voltage Shutdown Circuitry (EVS) is active, along with Voltage and Current status readings.